Students at a Christian college are speaking out against their school for inviting Mike Pence to speak at their commencement. 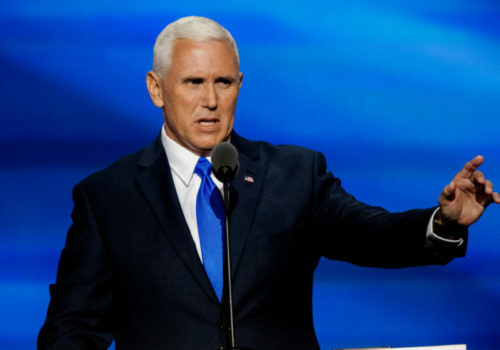 Taylor University, a nondenominational Christian college in Indiana, announced on its website last week that Pence would be speaking at their commencement this coming May. Many students, though, disagree that Pence deserves the honor of speaking at their graduation. The Facebook post announcing his commencement speech has received over 2800 comments so far, with students and alumni both supporting and opposing him. “Mike Pence and the administration he represents persecute our most vulnerable people; raise up the rich, the corrupt, and the powerful; and denigrate learning,” one person wrote. Students opposing his speech have started a Change.org petition that has over 4200 signatures so far. In 2017, over 100 students at the University of Notre Dame walked out of Mike Pence’s commencement speech.